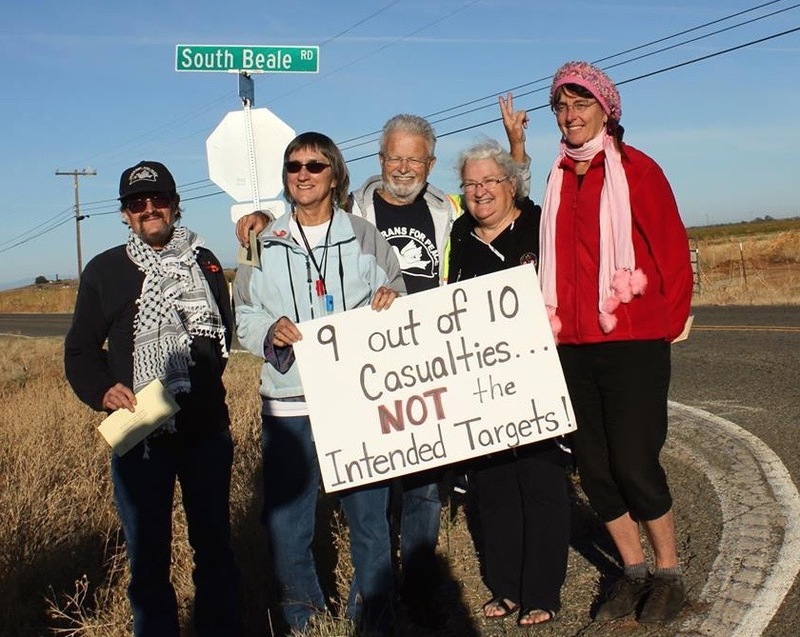 Five activists, including two military veterans, were arrested at Beale Air Force Base in California early on the morning of Tuesday, October 20. They were protesting the use of drones by the U.S. around the world that are killing hundreds of civilians, including children. The base is home to surveillance drones which pick the targets for U.S. Predator drones. 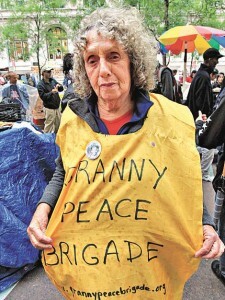 The activists approached a main gate of the base to deliver a letter to the base commander calling for an end to the base’s involvement in drone warfare. The gate is the busiest entrance to Beale – protests in the past have backed up hundreds of cars miles outside the base. On October 16, a group of anti-militarist activists impeded and disrupted the departure of a military convoy from the port of Sagunto, Spain due to be deployed in war maneuvers in the next few days by army units of more than 30 countries as part of the NATO exercise “Trident Juncture 2015”. 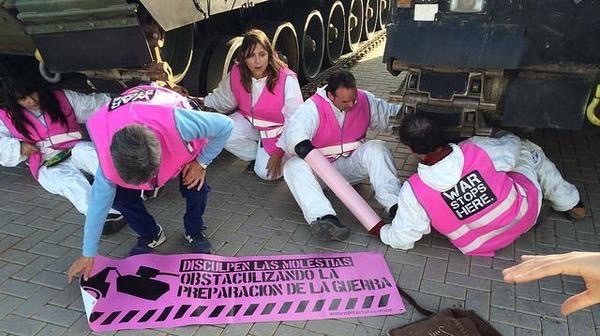 Dressed in white overalls and pink reflective vests, the activists assembled at the dockside, where a cargo vessel with vehicles and arms was being unloaded in preparation for the live fire stage of the NATO military maneuver in San Gregorio (Zaragoza), Spain. While two activists stood in front of two tanks, two more activists rapidly chained themselves with lock-on tubes to the vehicles and cut off the road leading from the port area. Another two activists unveiled banners that read “War Stops Here” and “Sorry for the Inconvenience: Obstructing War Preparations”. 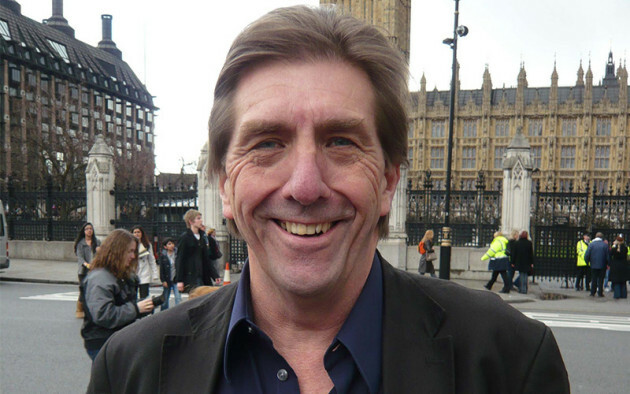 A long-time anti-war activist has been jailed for six weeks for refusing to pay his council tax on the grounds that the UK government is engaged in terrorism. Washington, D.C. –– Before the start of a Senate Armed Services Committee hearing about Afghanistan, Dr. Margaret Flowers was arrested on October 6 for speaking out against the recent U.S. bombing of a Doctors Without Border hospital in Kunduz, Afghanistan. Dr. 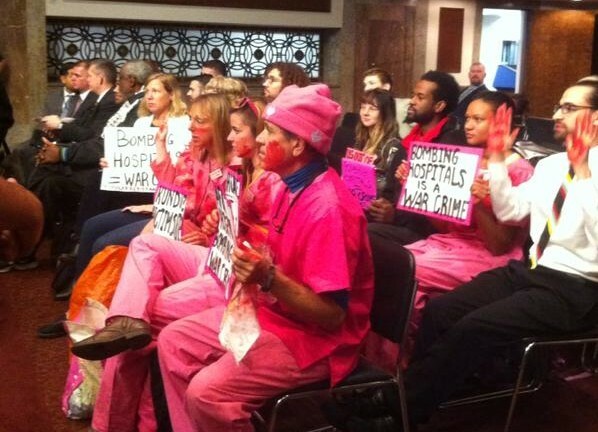 Flowers was holding a sign which read “BOMBING HOSPITALS = WAR CRIME”. In the attack on Kunduz, twelve staff members and at least seven patients, including three children, were killed; 37 people were injured, including 19 staff members.